4 Celli. 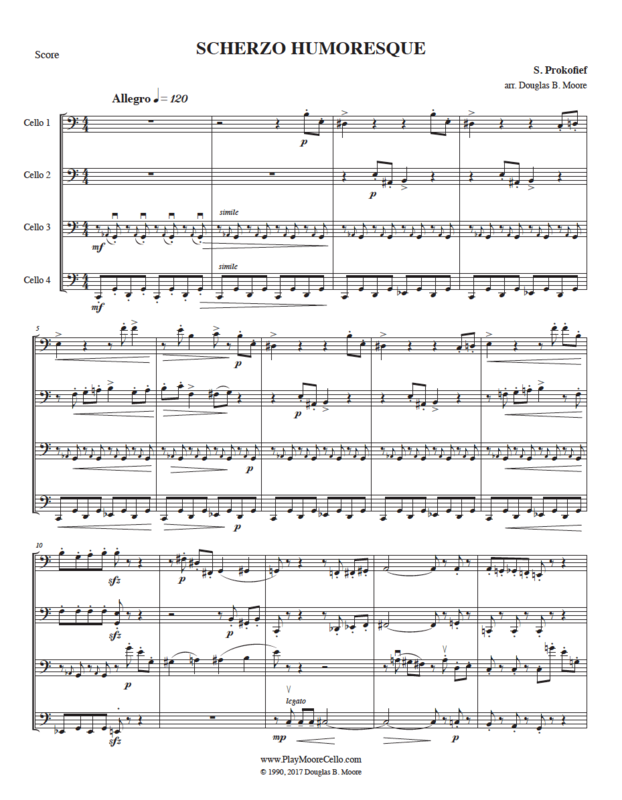 Originally for piano, arranged by the composer for four bassoons. Effective for quartet or cello orchestra, easy to intermediate difficulty.